Often simply typing into a picture is not quite enough. 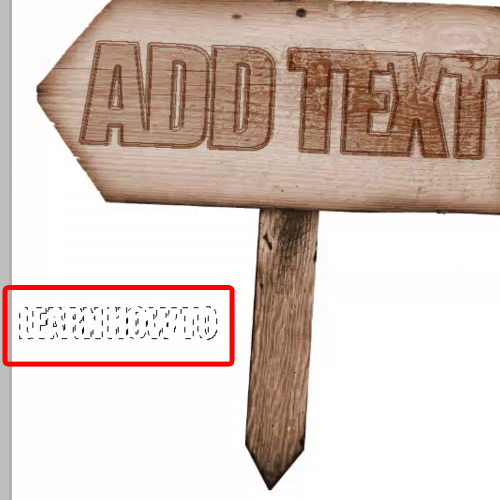 Textures in the photo are usually too busy so the typing appears unreadable. Over here we will demonstrate some ideas on using text in a picture, as well as techniques on how to integrate the image in Photoshop as part of the text effect. 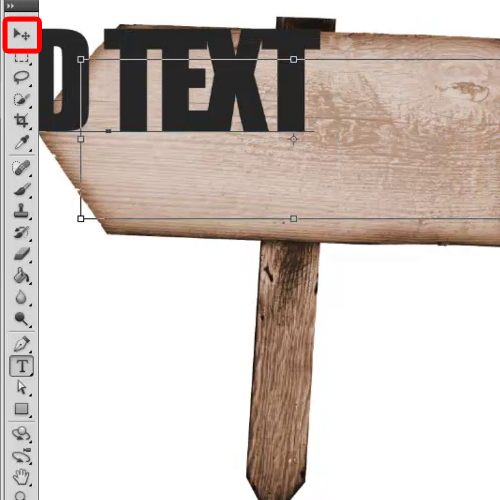 In this tutorial, you will learn how to add text to an image in Photoshop through a simple technique. First of all, click on the “type tool” present on the toolbar. This is represented by the Uppercase T in the toolbar. 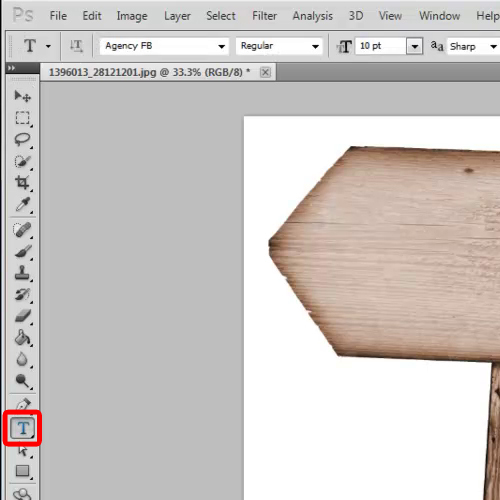 Once done, move down to the two squares present at the bottom of the toolbar. 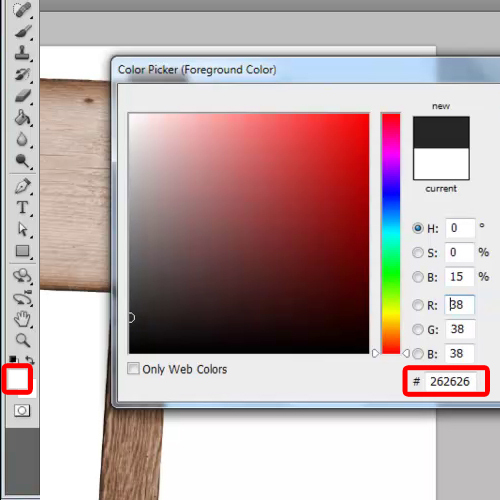 Click on the top square and choose a color for your text from the color palette that appears. In this case, it’s “262626″. Now we will move on to the dialog box appearing towards the right side of the screen. Here you can select the font and size of the text. We will be selecting “Impact” for the font, keeping its size at “100 pt”. Now we’ll type the text on the image. You can also reduce the text spacing from the dialog box. Here, we will keep that as “-50”. At any time, in the text editing mode, if you want to move around the text, press the “CTRL” key and click on the text. Now you can drag the text around the canvas. Alternatively, you can pick up the “move tool”. 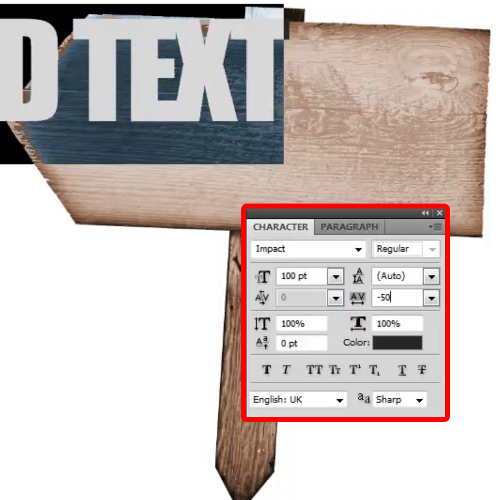 This will allow you to exit from the text editing mode and you can then easily move around the text layer. Once we are done with the text, now it’s time to add effects to the image. 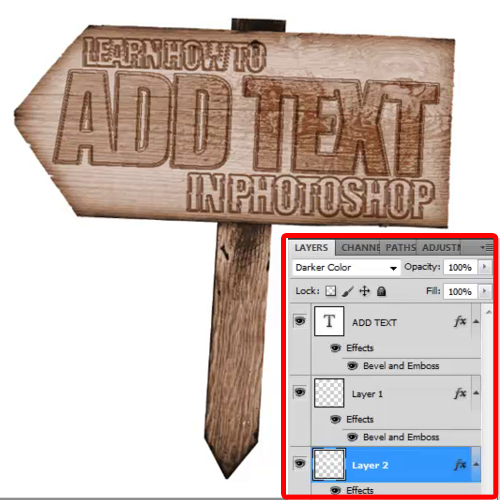 To further on add text to an image in Photoshop while adding effects to it we will add the “Bevel and Emboss” effect to the layer from its “layer style”, change the blend mode of the layer to “Overlay”, apply contour to the bevel effect and tilt the text layer a bit. Press the “type tool” and a menu would appear. 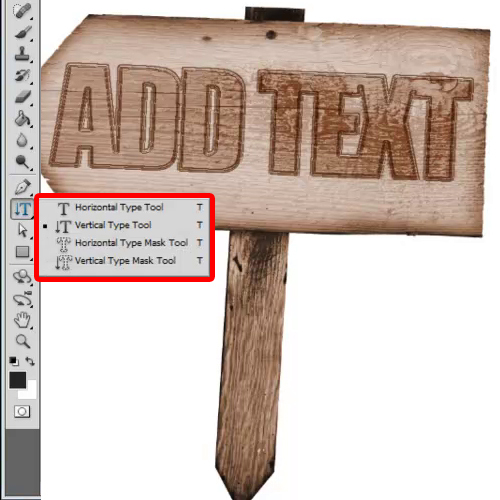 Here you can select the “Vertical type tool” which allows you to input text vertically on the canvas. You have two more options in the menu which have to do with the “type mask tool”. These are the “Horizontal type mask tool” and the “Vertical type mask tool”. For this tutorial, we will be selecting the Horizontal type mask tool. Once selected, Photoshop takes you to the quick mask mode. What we have done is that we have used the horizontal type mask tool to type the text on the white area, that is, the background of the image. Now when we exit from the quick mask mode, this will automatically load the selection. Now we’ll copy and paste the selection from the background layer on to a new layer, move it on top and change the layer style and blend mode according to the image. 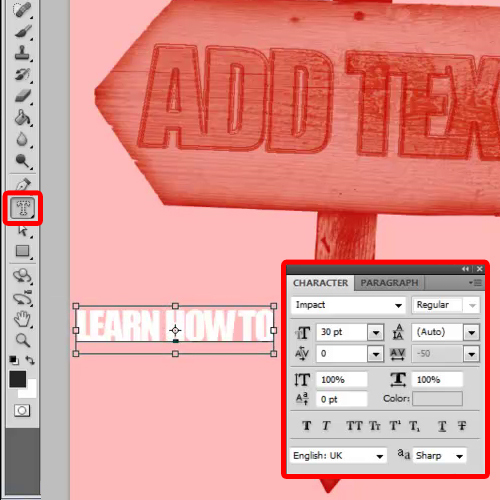 Similarly, you can continue on adding text and effects to the image, until you feel it’s complete. Your image in Photoshop is now complete and ready for use.